Showers in modern bathrooms are of significant importance in functionality and also to provide great look and feel. The modern trend when it comes to showers mounted inside bathrooms involves glass shower enclosures that separate the shower space from the rest of the bathroom providing a truly private experience made beautiful with unique designs and appealing glass materials. 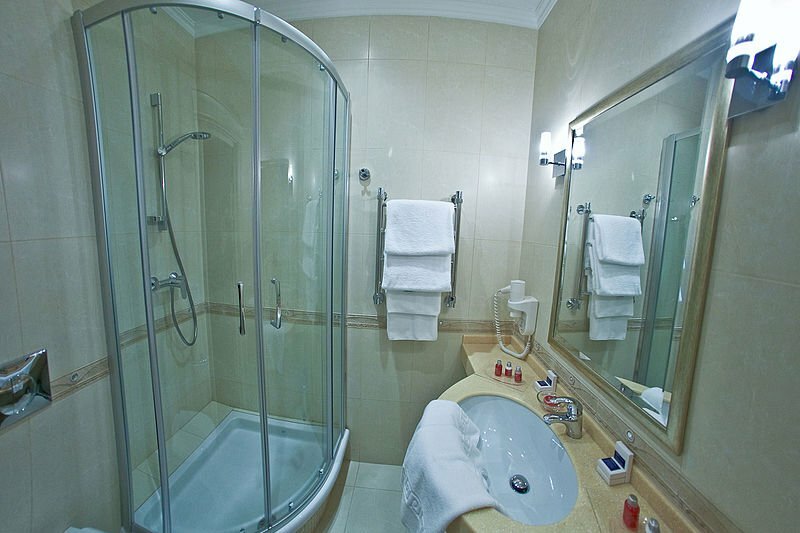 Glass shower enclosures and doors also make bathrooms look much modern and stylized as opposed to other traditional ways of implementing showers. Glass shower enclosures don’t have to be made completely from glass and only installing an elegant glass shower door, you can get all the benefits of an enclosure efficiently. This one works great when you have a separate shower space with walls made from tiles or other shower friendly materials and has a door-sized opening on the front side. 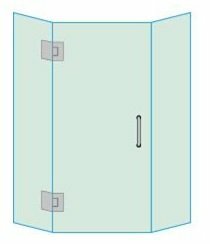 The single front side frameless shower door is designed specifically to provide your separated shower space with an enclosure and can be available in many different designs and glass finish options. Using a fullback hinge, you can install a basic door at the front of your shower space making sure that the panel also has a functional handle easing the opening and closing a great deal as well. Users and homeowners are at liberty to decide the glass thickness and finish type, where the bathroom is used separately, a clear shower door with minimalistic designs in it will look great not hiding any of the beautiful faucets you might have installed and that luxury shower design as well and when privacy is of concern, you can go for freckled, textured, rain, colored or privacy glass finish types. The inline frameless shower door is very similar to the basic single side frameless type. It is the more preferred option because of the added strength and durability that comes with it. 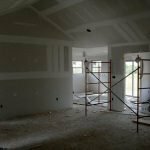 You will still need all the walls covered to install the inline type frameless door and a size of the door opening greater than 33”. Glass sheets on their own, when installed in a size greater than this recommended size limit, tend to not last very long. With inline frameless shower door, an adjacent glass wall on both the horizontal and vertical side is also added. 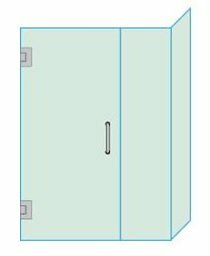 The vertical side can be either the left or right depending on the orientation of your bathroom designs and the horizontal side has to be on the top side of your door. Strong hinges and locks are installed on the glass meeting ends and the glass wall is embedded right into the walls providing that bit of extra stability and strength. 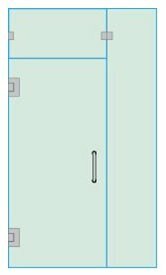 This 90 degree shower door type gets its customary name from its design orientation. When you need to extend your shower door a bit forward to the back wall or even the side wall on one side that is not extended out enough to provide a spacious shower enclosure, the 90 degree shower door suits best. A glass wall extension is added on the door handle side and another front extension sheet is added for stability and strength. The remaining space is filled with a single side frameless shower door providing two glass sides and a much elegant looking design from all angles. When you have your shower in a corner of your bathroom, this type of a shower door installment suits best providing that bit of extra space and making everything look great in the process as well. Make sure to select the right type of glass type for your specific needs and complement the design with surrounding items in similar design theme as well. The neo angle shower door is one of the most elegant and modern looking options available in the market. It resembles a bay window in its glass shape and is a really simple idea once you know how to implement it. There are 3 glass panels in total involved in such type of an implementation and all the sheets are installed at angles of 45 and 135 degrees. 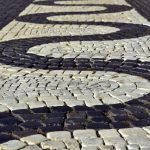 The resulting shape is a diamond or multi-corner shape that looks not only elegant but is most functional as well. This idea best suited for the straight type of shower enclosures and not so much for the corner side ones. 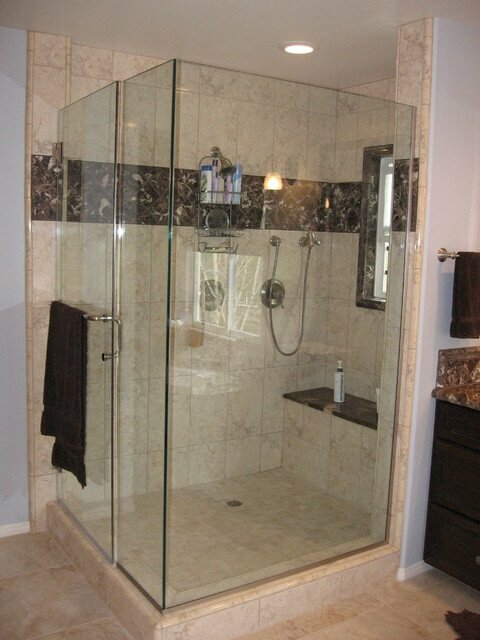 You will also need to have a wide front side for your shower enclosure for this idea to look best and if you need reliable durability, adding in a 12” concrete basement is always a good idea. Be sure to check out fancy glass types including the artistic inside designed ones or the freckled glass types to make this look even more elegant. Round cubical design is not necessarily only for fancy office spaces or living room décor, some very modern and uniquely designed bathrooms implement this idea perfectly as well. 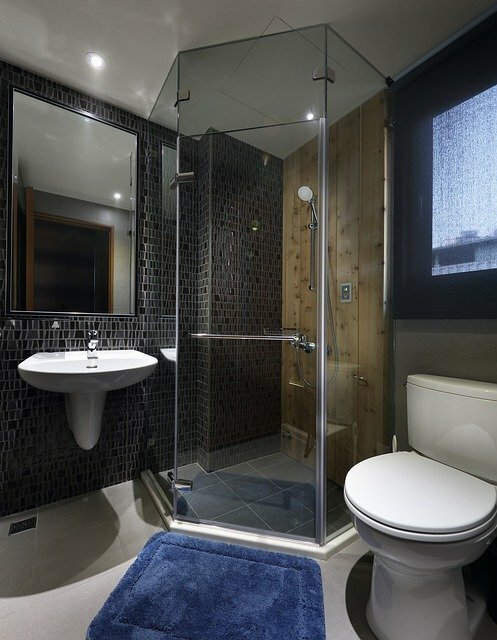 Large bathroom spaces can install round cubical shaped shower enclosures and will need round shaped glass shower enclosures for them as well in the required glass types. When installed correctly, the round cubical shower enclosure with matching round shower door not only looks elegant and unique but is a great shower experience as well. To top the cake with a cherry, a rain shower can be successfully installed imitating real outdoor rain in your shower enclosure. Place attractive light effects for the round shower enclosure and enjoy the look and feel of your round enclosure with a round shower door to its maximum effect. This article is provided by Miss Maira who works for a furniture company which provides glass made furniture items for homes and offices. She loves to do DIY home improvement projects and write and share ideas about different DIY home improvement Ideas.